Soldier on top of the memorial, c. 1986. 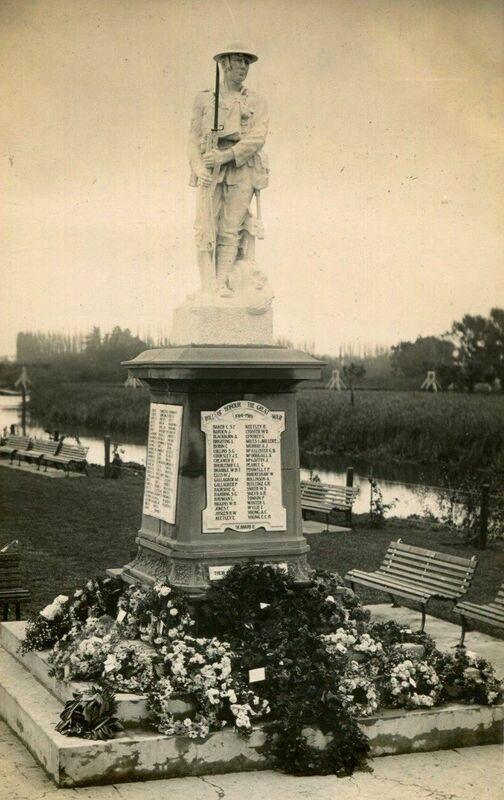 The Kaiapoi war memorial. The New Zealand soldier on top was sculpted by Christchurch stonemason W.T. Trethewey. Two large plaques near the memorial display names from the South African War and the Second World War.